The following content is created in partnership with Rosenbaum & Associates. It does not reflect the work or opinions of NBC Philadelphia’s editorial staff. Click here to learn more about Rosenbaum & Associates. As much as you want to take care of your elderly loved ones at home, their health needs may grow beyond what you're able to provide. Nursing homes may be a good alternative when that happens. But because not all nursing homes provide the same quality care, you need to be able to recognize the key signs of a great facility versus red flags that mean you should steer clear. 1. Qualified staff members: These individuals should excel in professionalism and dignity as the sole caregivers for your loved one. Pay close attention to anyone you meet, from nursing assistants to administrators. They should treat residents respectfully, warmly and politely and should be clearly skilled in their areas of expertise. 2. Accessibility and security: Nursing homes should ensure high accessibility for residents with canes, walkers or wheelchairs. Rooms should be well equipped with handrails and anti-slip floors, and rooms and bathroom should have emergency notification systems that comply with safety regulations. Evacuation drills should be conducted regularly. 3. 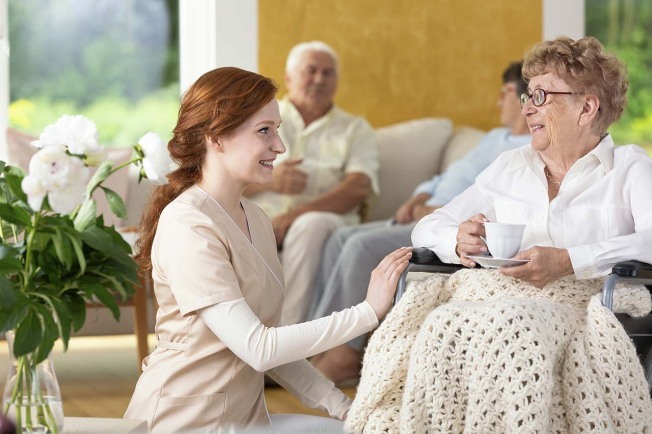 Cleanliness: Good nursing homes meet the highest standard of cleanliness, meaning that all rooms and common areas are clean, disinfected and well ventilated. Sheets, towels and other fabric materials must also be clean. And it shouldn't stop there: residents should also be neatly groomed, combed, shaved and dressed in clean clothes. 4. Well-designed meals: Does your loved one have dietary restrictions related to health conditions like diabetes or food allergies or intolerances? An outstanding nursing home will serve meals designed by experts in geriatric nutrition to be both palatable and custom-tailored to residents' needs. 5. Personalized care: From heart disease to cognitive disabilities, quality facilities should be equipped to address the unique mental and physical health conditions of each resident. In addition, look for well-rounded array of activities that foster social interaction and promote a healthy lifestyle. 1. A history of violations: Nursing homes are subject to state and federal regulations, which help protect the rights of elder citizens. Before you even visit a facility, do some research on their history and reputation. Check for indications of substandard care, like repeated disciplinary actions for violating the law. 2. High staff turnover: If a nursing home is constantly training new staff, it can negatively impact the quality and continuity of your loved one's care. Lack of longevity can lead to less personal treatment or indicate a toxic work environment. Your loved one should always feel there is someone on staff who knows them and understands what they need. 3. Restrictive visiting hours: A nursing home should be as homelike as possible, offering a comfortable environment where you can see your parents at almost any time. Watch out for facilities that offer very limited visiting hours or have complicated regulations that make it difficult to arrange a visit. 4. Unanswered or deflected questions: Nursing home personnel should be able to answer most inquiries with clarity—or quickly and politely connect you to someone with more expertise. If staff members avoid your questions or give evasive responses when you express a concern, a different facility might be a better fit. 5. Physical injuries: Warning signs might be right on a patient's body. If you notice a lot of bumps, bruises or scratches, it could be an indication that patients aren't getting the attention that could help them avoid preventable injuries. Keep an eye out for skin tears and pressure ulcers, which could be caused by poor care or even neglect. If you suspect a family member may be a victim of nursing home neglect, contact a lawyer who can help you understand your legal options. The experienced lawyers at Rosenbaum & Associates have been advocating on behalf of the elderly for more than two decades and are on your side if you need them. Click here to learn more.